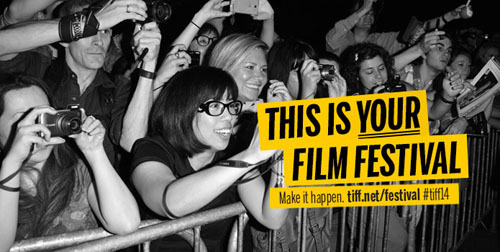 This week marked the kick-off for the 2014 Toronto International Film Festival! These films join the previously announced presentation of Michael Moore's Roger & Me (1989) which screened 25 years ago at the Festival of Festivals. Many more titles will be added in the weeks to come. Hi there! It's Matt from the Mamo podcast. I noticed you posted some of our content on your web site, from our episode about the 2014 ticket prices for the Toronto International Film Festival. I can't really get a clear sense of the nature of your publication though - what is your association with TIFF? Are you part of the organization, or accredited press? Are you working on a story related to the price increase? That's cool. Thanks! Was hoping you were someone affiliated with TIFF who we could coax onto our show but appreciate the links! If you post any coverage of this issue let us know, we may mention it in a future episode.